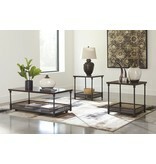 Item Description: The uniquely chic Kalmiski coffee table set sets the scene for cool, eclectic style. Distinctive elements include undermount shelves with perforated gallery rails that serve as handy catchalls for magazines, books and more. 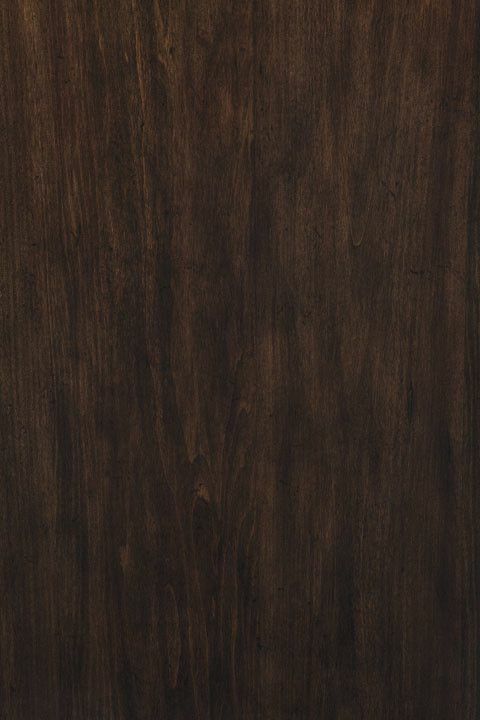 The lower railings’ goldtone interior subtly contrasts a rich brown finish. Casters on the coffee table are an added bonus. 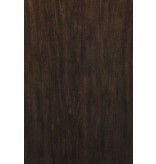 Series Features: Table tops and shelves are made with Poplar veneers on engineered board with a dark waxy brown finish. 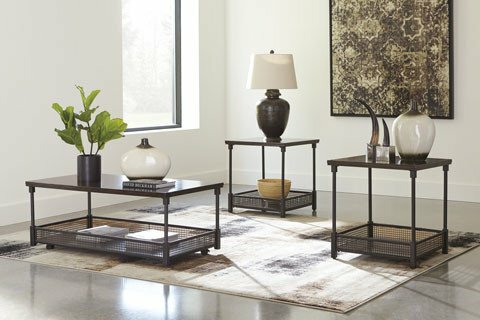 Table frame is made from tube metal in a textured bronze powder coat finish. 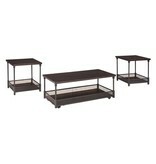 Tables feature a lower shelf with a perforated gallery rail with a contrast gold like finish on inside. Cocktail table has casters for mobility.